IT Best Practices: Intel’s factories rely on thousands of PCs for manufacturing automation; keeping these PCs up and running can prevent expensive downtime. To manage these systems, Intel IT is using the Intel vPro platform’s hardware-based feature, Intel Active Management Technology (Intel AMT), to help reduce production downtime caused by PC incidents by 87.5 percent. For practical and security reasons, many of these PCs are housed in data center racks and configured without a keyboard, video monitor, or mouse (KVM). When issues arise, an IT technician must physically retrieve peripherals from a storage room and connect them to the affected PC before identifying the problem and resolving it. At one Intel factory, we estimated that the process averages 40 minutes per incident and is susceptible to human error. Our goal was to reduce our mean time to resolution (MTTR) from 40 minutes per incident to just five minutes using Intel AMT. 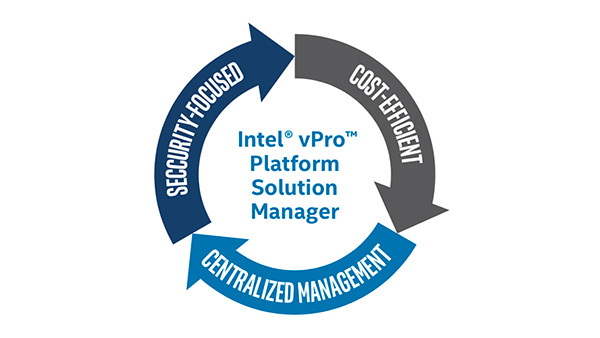 The Intel vPro platform is already embedded in Intel Core vPro processors installed in the data center. As a result, the solution, which provides remote access to PCs in any power or OS state, requires no additional cost. We conducted a proof of concept (PoC) that rapidly produced successful results. The Intel vPro Platform Solution Manager web-based console can help identify problems early, remotely manage the PC (including power and OS states), and remotely diagnose and repair problems. This cost-effective solution was simple to deploy and has delivered outstanding benefits to the factory. We have now activated Intel AMT on over 1,000 PCs in the PoC factory, and also reached our 5-minute MTTR goal.